Alexander Anissimov is currently Principal Conductor of the National Symphony Orchestra of Belarus and Principal Conductor of Opera Rostov-on-Don. He is an Honored Artist of Russia. From 2005 he is Principal Conductor of Busan Philharmonic, Korea. Until recently he was the Conductor Emeritus of the RTE National Symphony Orchestra, Ireland. Alexander Anissimov has the world at his podium. His work has taken him to the Kirov Opera, Leningrad Philharmonic, Bolshoi Theatre, Moscow, Warsaw Philharmonic, Lithuanian National Symphony Orchestra, Hungarian National Symphony Orchestra, Houston Grand Opera, San Francisco Opera, Teatro Colon Argentina, State Opera of South Australia, Orchestra of St Cecilia, Roma, Opera Venezia at La Fenice, Opera Genoa, Hannover Staatsoper, Hamburg Staatsoper, Komische Oper Berlin, Opera Bastille, Opera Garnier in Paris, Monte Carlo Philharmonic, Rotterdam Philharmonic, City of Birmingham Symphony Orchestra, Royal Liverpool Philharmonic, Royal Philharmonic Orchestra, London and London Symphony Orchestra. 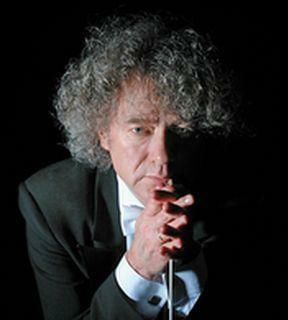 In addition to his work in Ireland, Russia, Korea and Belarus his program includes work with the Puccini Festival in Klagenfurt, Austria, Holland Sinfonia and Nuremberg Philharmonic, a full Beethoven program in Spain with Orquestra Simfònica de l'Academia del Gran Teatre del Liceu and in Sydney conducting Shostakovich 10th Symphony with the Australian Youth Orchestra, which has been recorded by Melba recordings and received outstanding reviews from all over the world (a small selection of excerpts listed below). He has also recorded eight CDs with the Moscow Symphony Orchestra, the nine symphonies of Glazunov, all the ballets including 'Raymonda', all the Rachmaninov symphonies including the choral symphony The Bells with the National Symphony Orchestra of Ireland. His recording of Shostakovitch’s 'Lady Macbeth of Mtsensk' recorded at the Teatro Liceu Barcelona has received international acclaim. His most recent engagements included 'Evgeniy Onegin' with Nikikai Opera and Beethoven’s 9th Symphony with Tokyo Metropolitan Symphony Orchestra. Future engagements in addition to his work in Belarus, Korea and Russia include invitations from the Czech Philharmonic and a production of 'Mazeppa' at Opera Ireland.